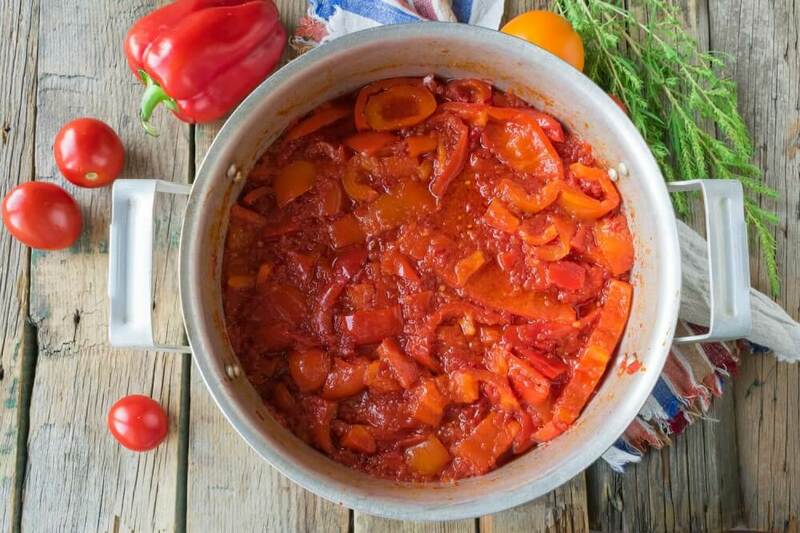 Cook delicious and very fragrant preservation for the winter – lecho with bell pepper. For this recipe, it is better to use ripe fleshy vegetables. 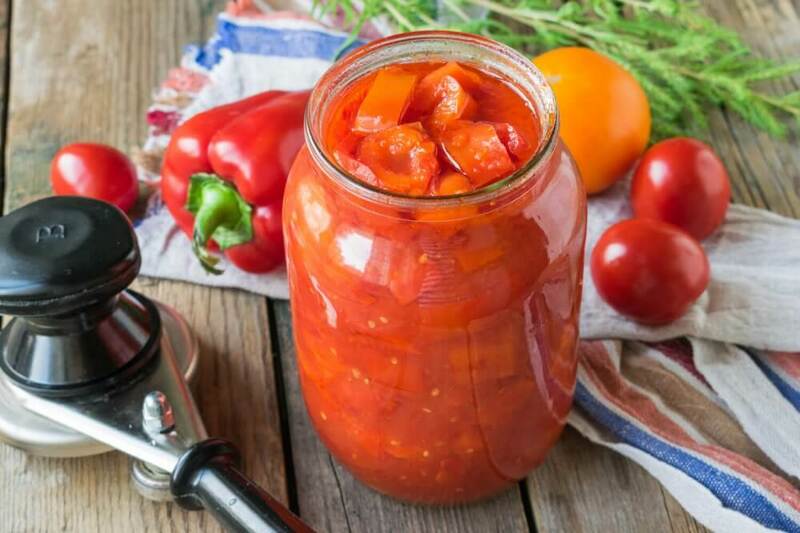 To make the ready preservation look appetizing, choose orange or red peppers for lecho; green fruits are better reserved for various salads and snacks. From the specified amount of ingredients, I got 3.5 liters of preservation. 1. Wash fresh tomatoes, remove the stem. 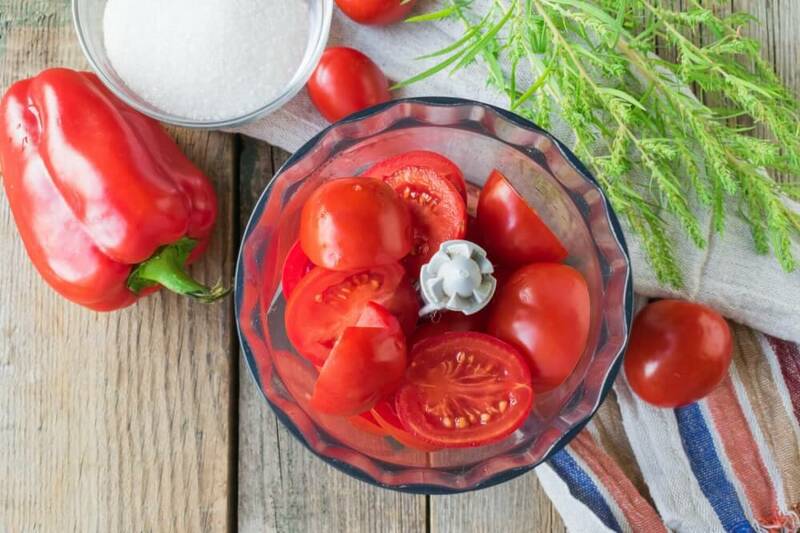 Grind tomatoes with a meat grinder or blender. 2. 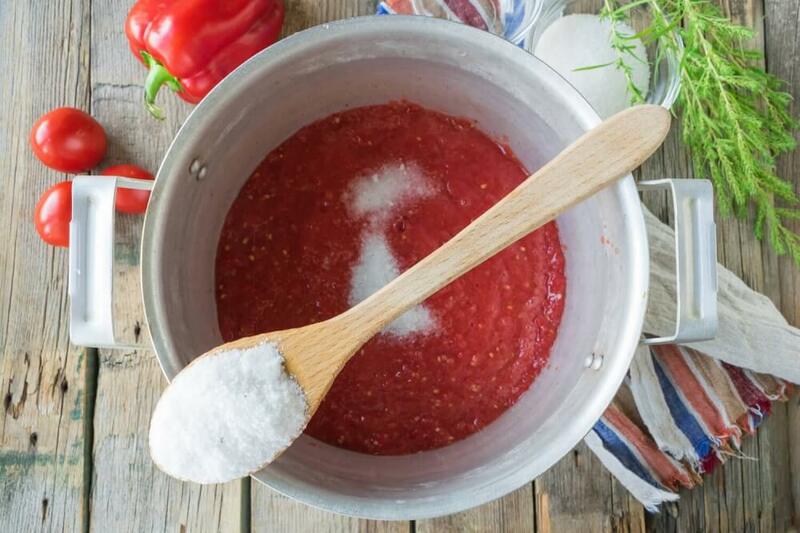 Pour thick tomato juice into a deep pan. Add large salt. 4. Pour refined sunflower oil in, mix. 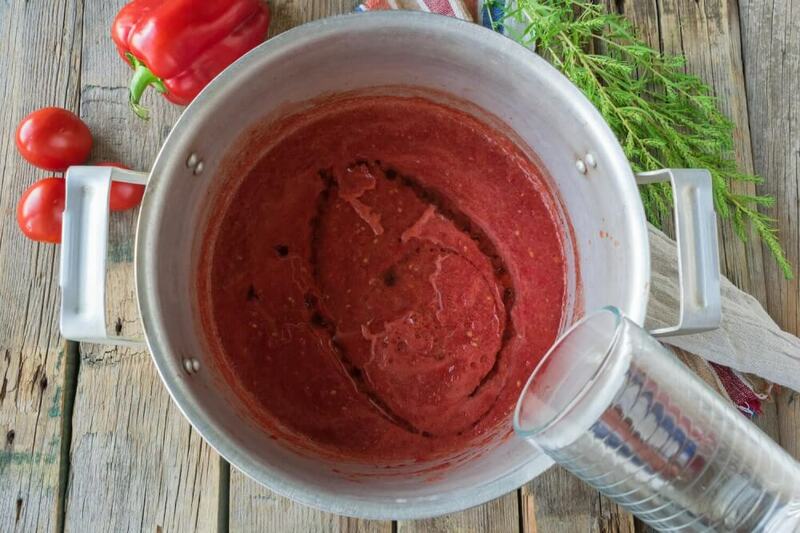 Cover the pan with a lid, put it on the fire and bring the tomato juice to a boil. 5. Wash sweet pepper, clean from seeds and peduncles. Cut the pepper half rings of 1.5-2 cm thick. 6. 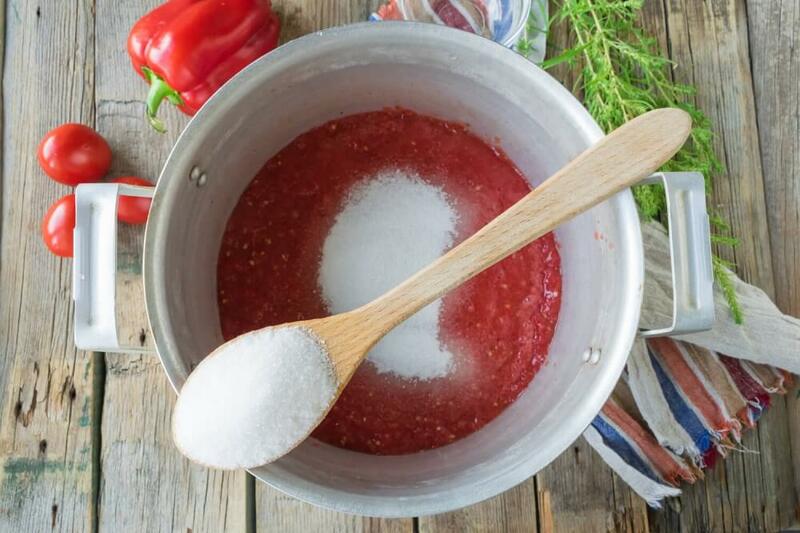 Put crushed bell pepper in a pan with boiling tomato juice. 7. 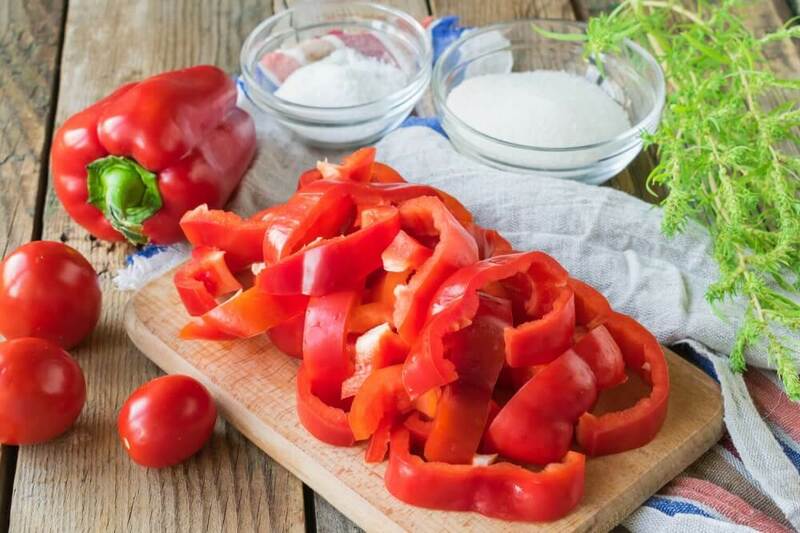 Bring the vegetables to a boil, then reduce the heat to low and continue simmering the pepper in tomato juice for 30 minutes. 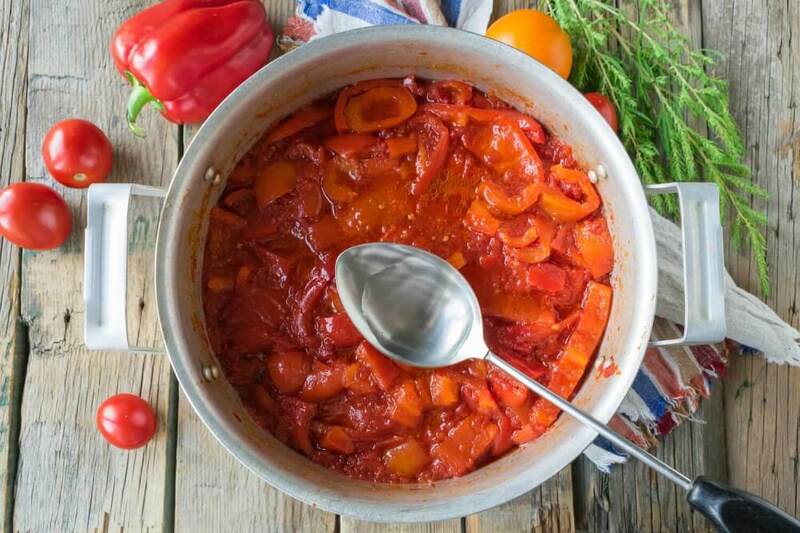 In the process of cooking, vegetables give out juice and are completely covered with sauce. 8. 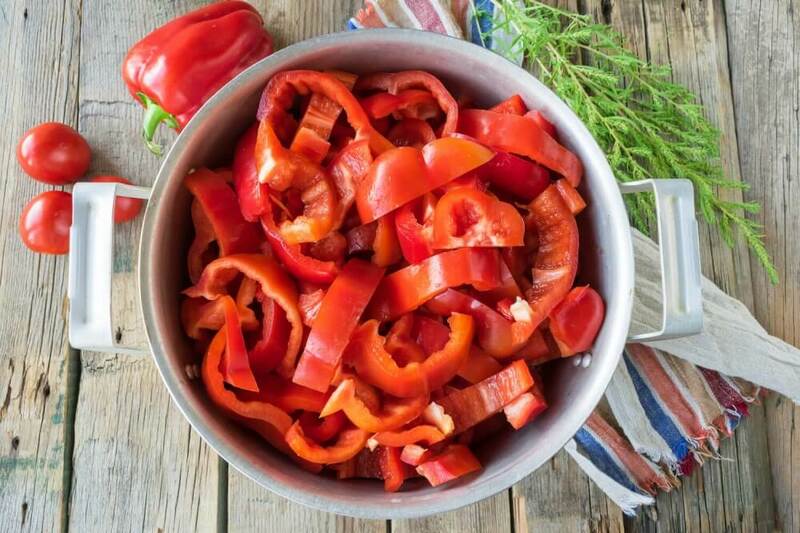 After 30 minutes, add vinegar to the lecho with the bell pepper so that the preservation is well preserved throughout the winter. Mix all ingredients thoroughly. Continue cooking lecho another 2-3 minutes. 9. Then transfer the hot preservation to sterilized glass jars. 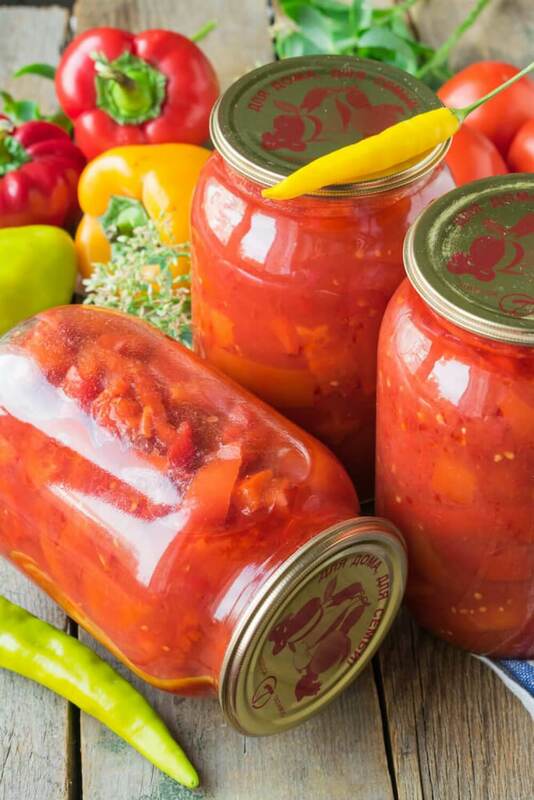 Cover them with sterilized metal lids, roll up the jars using a special machine. 10. Turn the jars with lecho upside down, wrap them with a blanket and leave them for 1-2 days until they cool down completely. Store lecho with bell pepper in a dark cool place.